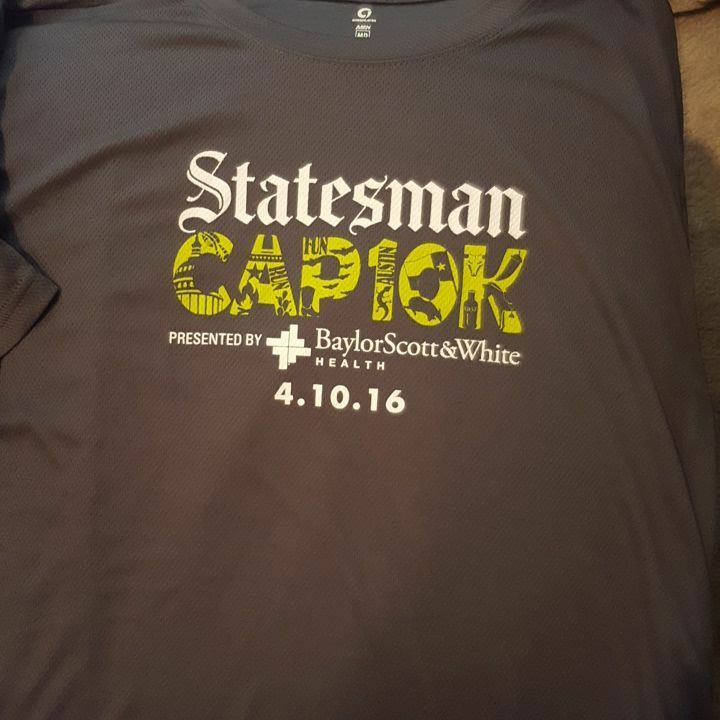 The 39th annual Statesman Capitol 10K. I ran the Cap10K (as it’s affectionately called by locals and participants) for the first time about 6 months after I first started running. 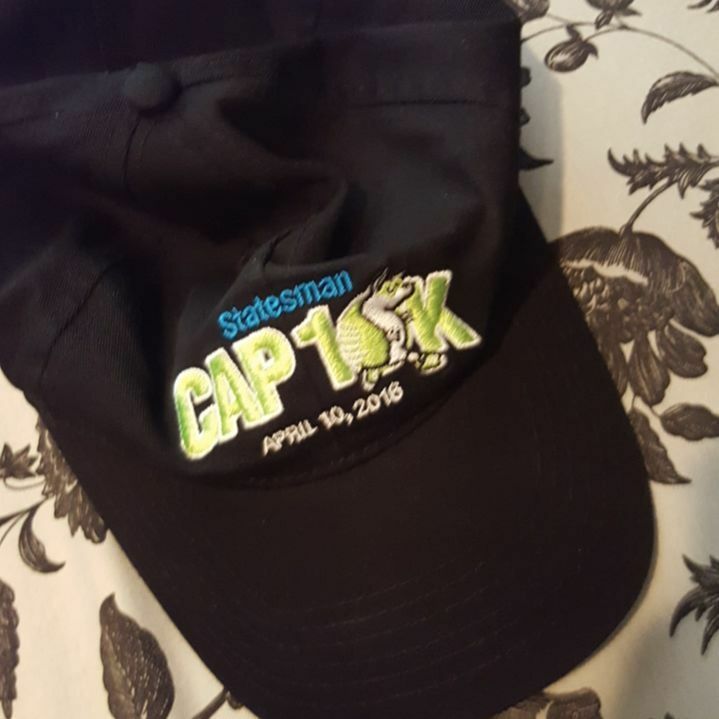 This year was the 4th time I have run the Cap10K. I love this race. 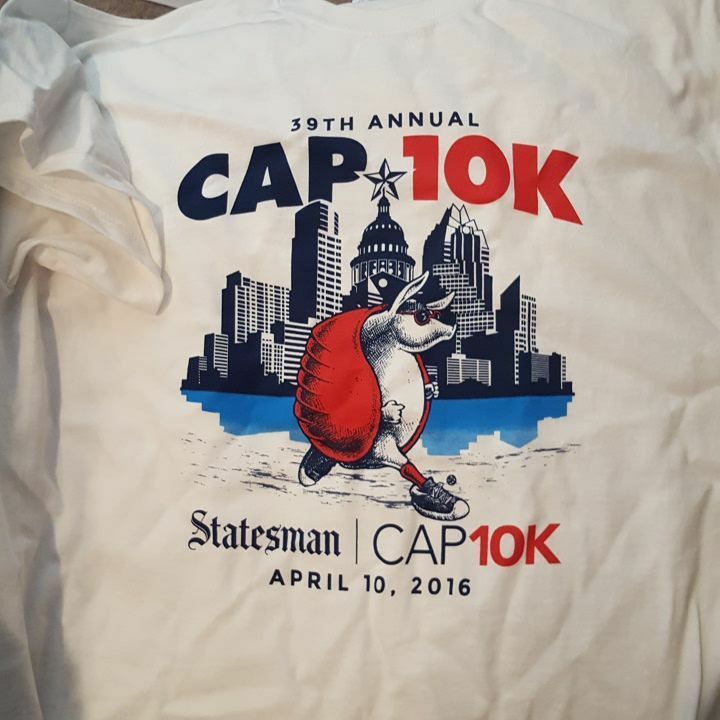 It’s the biggest 10K in the entire state of Texas and the 7th largest 10K in the entire United States! WHOA! That’s just crazy. It routinely has over 20,000 participants. It draws a good amount of elites. 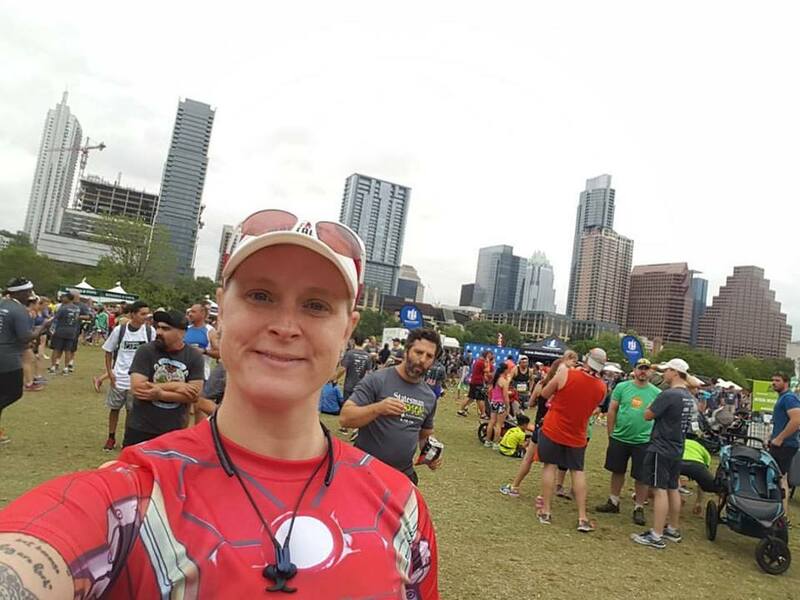 It is a challenging course that starts on the south side of the S Congress Ave bridge, right in front of the Austin American Statesman newspaper headquarters. But, before I get into all that, let’s do this my way! On to the expo! The expo for the Cap10K is held at the Palmer Events Center just south of downtown Austin, across from Vic Mathias Shores (former Auditorium Shores). The expo, like expos for most of the larger races, is held over the course of 2 days. Normally, since I’m at work in the afternoon on Fridays, I just wait and go to the expo on Saturday. However, the expo started at noon on Friday and was within walking distance of where I work and I don’t actually start work until 1:45pm. SO…I parked at work around 10:30am and did a bit of walking around (still had to hit my 10K steps for the day, yo!) and got to the expo at about 10 minutes until doors opened. I forgot, the line to get in is ridiculous and wraps around the building. But, once the doors opened, things moved somewhat fast and I was able to get my bib after about 20 minutes after the doors opened. I say that’s fast, but a friend went to pick hers up on Saturday and said the wait was over an hour, so yea…I’ll take a 20 minute wait and call it fast. I do like to go to expos for larger events on the first day because…well…with official merchandise…the items that I want generally sell out of my size kind of quickly and then I’m super disappointed that I couldn’t get what I wanted. So, I was at the expo when it first opened on the first day it was going. 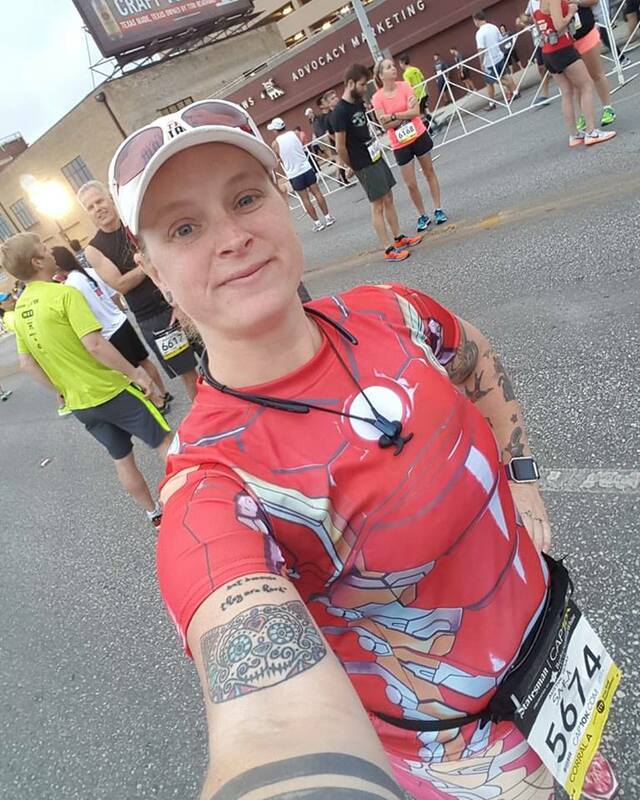 I was able to get my bib quickly and was rather disappointed when I didn’t see my name printed above my number. Harrumph. 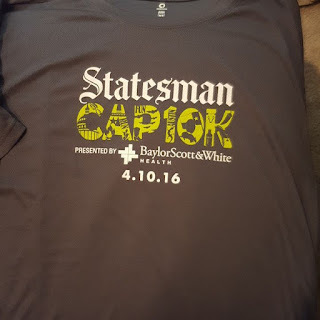 I must have forgotten in my frenzy to register to fill out the part where if I wanted my bib personalized. Easily fixed with a sharpie! After I got my bib, I headed over to get my participant shirt. I was quite happy to see that, just like last year, it was a tech shirt! After that, I began my wander around the expo to see what, if anything, I wanted/needed. I did pretty much make a beeline for the Greenlayer official merch booth. The first thing I saw was actually a men’s tank. It was dark blue with green piping around the arm and neck holes. And smack in the middle of the chest was an art deco armadillo! Omg! I had to have it. 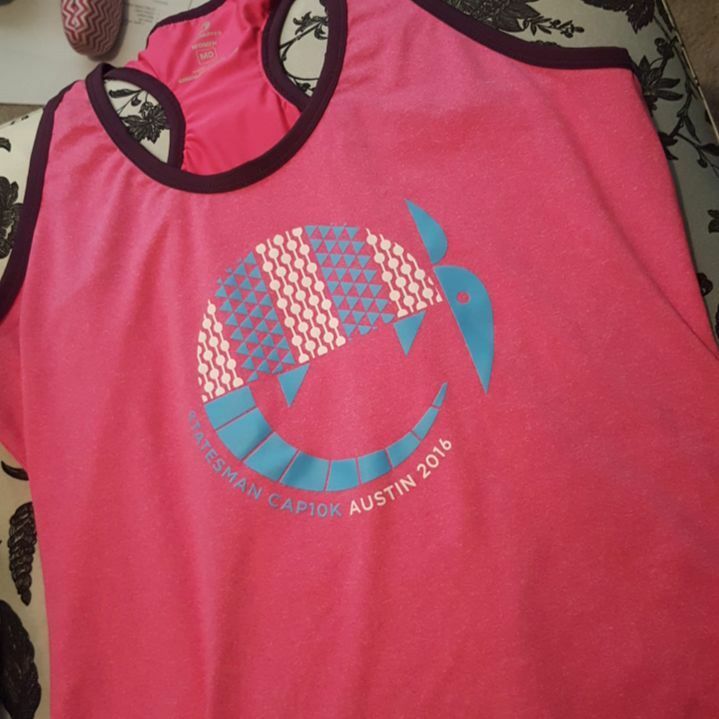 Then I realized it was the men’s tank and began frantically trying to discover if there was a matching women’s tank. 2 racks over, I found it! And I love it. I stopped at the Tejas Trails booth and talked to them a bit about trail racing. Then I went to this lasik booth that I saw was giving out goodies while I was still waiting in line for my bib. She let me spin the wheel and I won a little gel bead hot/cold pack! YES! I love those things! After that, I found the counter handing out the commemorative cotton t-shirts and snagged one. And, this year, they also had hats! So I got one of those too! Then, I had to make the walk back to work so I could change into my uniform in time. My supervisor saw me in the parking garage and, funny enough, asked if I had gone for a run! HAHA! They know me so well. 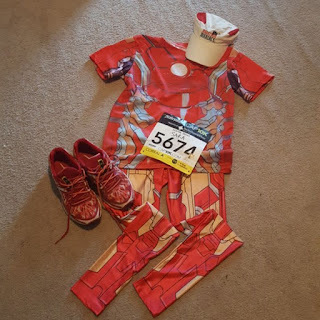 Saturday night, I was in bed around 10pm and asleep by 11, but then I kept waking up and was apparently super nervous because I was having nervous dreams about being unprepared for the race. The dream I remember was that I had forgotten my bib and I was freaking out because I wasn’t going to have an official time, but then at the last minute it appeared. I did snap my flat runner before going to bed. Sunday morning, I got up and got ready. Really all I had to do was get dressed, grab my stuff and out the door I went. And, as always, as I’m driving out of my apartment complex, I’m obsessively checking and rechecking that I have my bib, my gear belt, my Garmin, and so on. I get to the area early enough to score parking in one of the TXDOT lots, so it was free. But then I had about 30+ minutes to sit in the car until it would be time to head over to the start area. I hit the porta when I got over there and as I was in line, the 2 guys behind me were talking about being nervous about there still being room in Corral A (last year when they tried to enter the corral they were told there were already too many people and they’d have to bump down a corral) and should they really be wasting time standing in the porta line. Turns out everything was just fine. We all got done and the majority of Corral A was wide open when we made it over there. And I even stopped along the way to do my leg swings, calf raises and stretches. Since I was in the very front corral, I was able to cross the start line about a minute after the gun. That was pretty awesome. 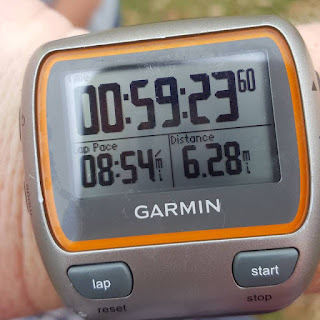 As we ran up S Congress Ave, making our way toward the state capitol, I had to rein myself in a little bit because I was clocking a pace in the 8’s. Oops! 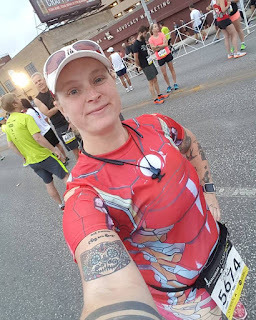 The humidity was about 85% and I was wearing full length tights (with 7” spandex shorts underneath them in case of seam popping…see, the tights were bought online from a place in China and only came in one size: XS-M and they were a little snug) and a sleeved top. 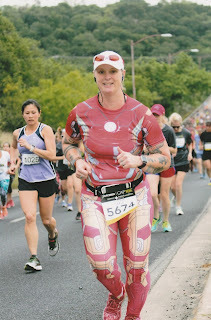 Due to the temp and humidity, I really would have preferred to have been in a tank and skort, but I really wanted to be Iron(wo)man for this race, so I sucked it up. So, I didn’t want to burn myself out by going to quick too soon. Thankfully, when we reached the capitol and turned right, the hills began! Haha. I love hills. No, no, seriously…I do. Hills are challenging and I love a challenge, so therefore I love hills! I’m not saying I don’t want them to end while I’m doing them, but there’s nothing like that feeling of accomplishment when you reach the top of a tough hill! Right at mile 2 is where the King/Queen of the Hill challenge happens. You cross a timing mat at the bottom of the hill and another when you reach the top. Funny thing, after I finished and was standing in a line, the guy in front of me was talking about that hill and he had apparently never run a 10K before and he saw the sign that said “finish” at the top and thought it was the finish for the race, not the finish for the hill challenge. HA! He said he was so confused about why people were still running. Anyway, it took me 41 seconds to climb the hill. I’m sure that’s a somewhat average time, so next year I’ll aim to do I in line 30 seconds! So, you’d think that the hill that hosts the King/Queen of the Hill challenge is the biggest, baddest hill of the whole race, right? Wrong. You complete the challenge, crest that hill, go down a nice downhill, and then BAM up a hill twice as bad. You want to just curl up and go to sleep when you get to the top of this bigger hill. That mile was my slowest, at 9:45. I crossed the 5K timing mat at 29:57. No Bueno. 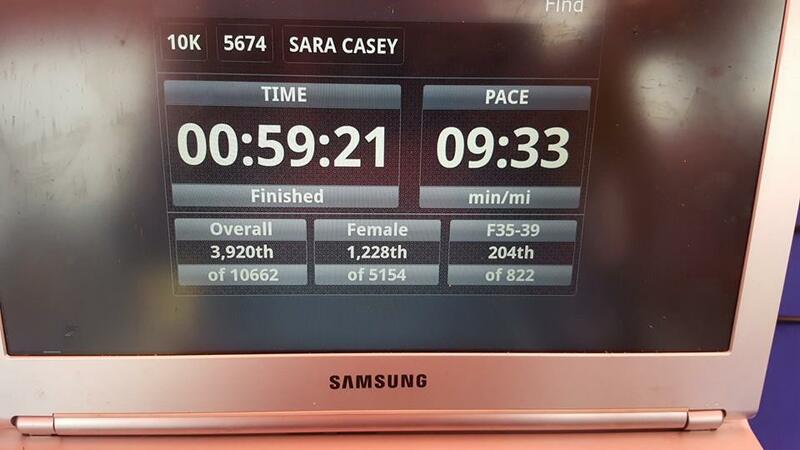 If I did that for the second 5K, there was a good chance I’d not hit my goal of finishing in under 60 minutes. So, I picked up the pace. Mile 4 was the fastest and easiest mile. It’s where I recovered after all those hills in the first 5K. Mile 4 was 9:18. Better, for sure, but I’d really prefer 9:10 or faster. Mile 5, a little slower at 9:21. Ugh. Supposed to be picking up the pace, not going slower!!! Mile 6 was a struggle. I think coming eastbound on Cesar Chavez is a very, very slight incline. Mile 6 was 9:30. Geez. I crossed the finish line and pressed stop on my Garmin and it said 59:24. Talk about cutting it close! I checked my official time and that was 59:21. Still too close for comfort, but most definitely a PR and I most definitely hit the goal I set for myself for this race last year. Am I happy? You bet I am! Do I believe I can do better? Oh heck yes I do! After I finished, I went to check out the finish area party. I started with standing in 2 lines to receive free reusable shopping bags. One wasn’t very big, but would be great if I were just grabbing a few small items. The other was a full size bag that was lined for keeping cool items cool or warm items warm. 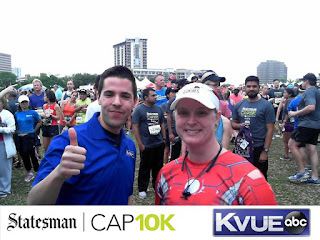 Plus, with that bag, I got a picture with the KVUE weatherman, Jared Plushnick. 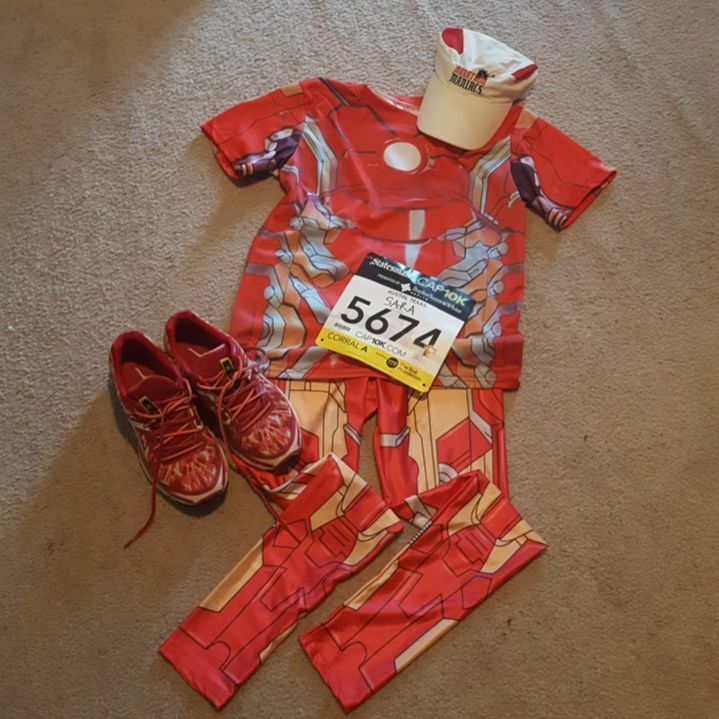 I was really, really hoping to be able to run into friends post-race. And, while I did run into 2 friends I wasn’t expecting to see, I didn’t get to see my friends Paula and Bill. Bill had suffered a bad calf cramp and was forced to walk the final 4 miles. This is the same problem he had at South Padre last fall. Something is off in his hydration and electrolytes. Anyway, they left as soon as they were done so he could put ice and Bengay on his calf. Understandable. 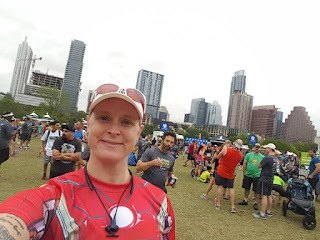 I was also hoping to see my super-fast friend Ben, but I didn’t see him anywhere so I guess he didn’t wait around for long after he had crossed the finish line. • Total gender place 1226 out of 9148. I am pretty proud of those numbers. Those are not the stats of a mid- or back-of-the-packer. That’s front 25%!!! And, that, my friends, is an epic thing to realize about yourself!